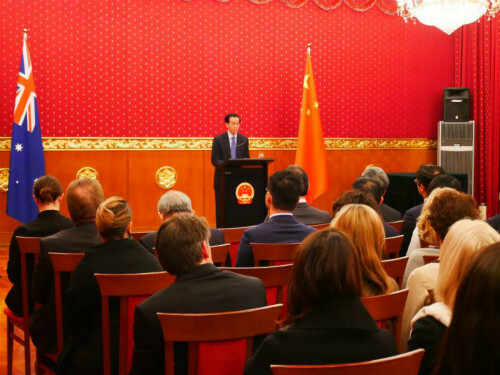 At the invitation of the state government of South Australia, Chinese Ambassador to Australia H.E. 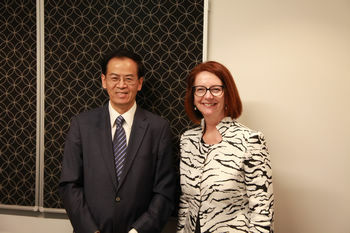 CHENG Jingye and Madam WANG Fang paid an official visit to South Australia from October 17 to 20. 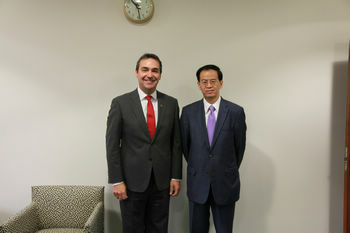 During the visit, Ambassador Cheng met with SA Premier the Hon. 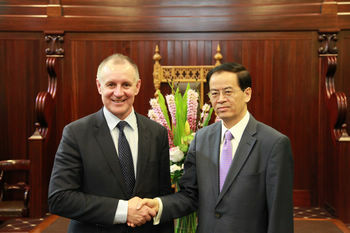 Jay Weatherill, Leader of the Opposition the Hon. Steven Marshall and former PM the Hon. Julia Gillard. 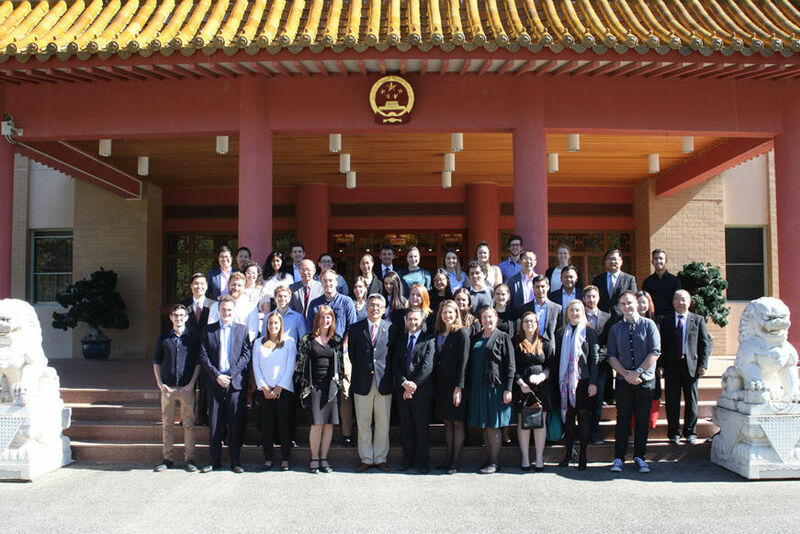 He also attended and addressed the reception officially launching the consular services of the Chinese Consulate-General in Adelaide, together with over 100 representatives from different sectors, including Mr. RAO Hongwei, Chinese Consul-General in Adelaide, the Hon. Susan Close MP representing Premier Weatherill, Minister for Education and Child Development, and the Hon. Russell Wortley, President of the SA Legislative Council. 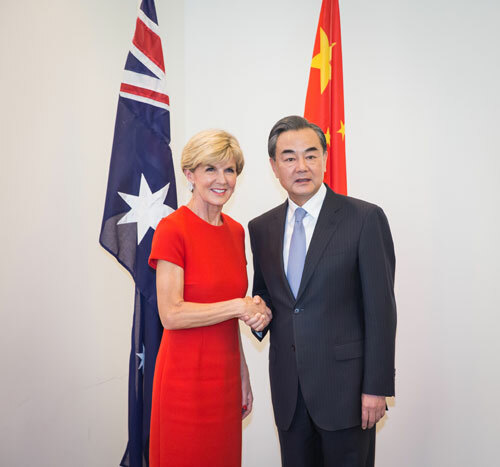 At those events, Ambassador Cheng fully recognized the significant progress of China-Australia relations and the remarkable benefits delivered to the two peoples. 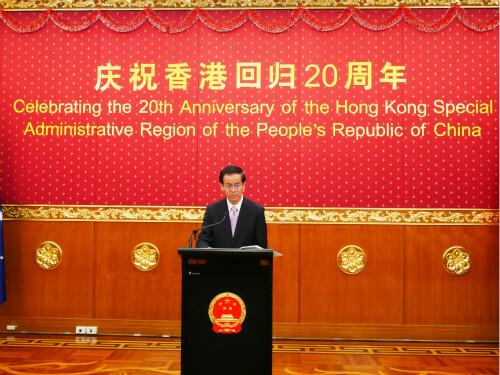 He emphasized that both sides should, whilst speeding up their own economic transition, adhere to the principle of mutual trust and mutual benefit, continue to tap new potential of growth and expand common interests. 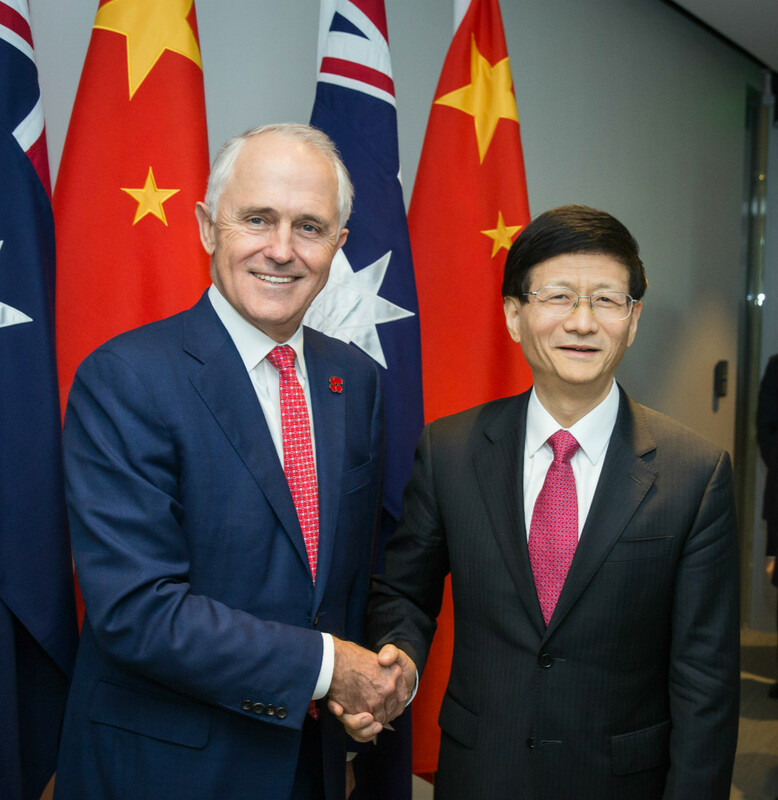 As one of the major outcomes of President Xi Jinping's state visit to Australia in 2014, Chinese Consulate-General in Adelaide opened earlier this year. 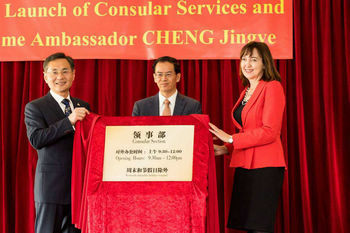 After serveral months' trial operation, the Consulate-General decided to officially launch consular services (visa services not included), which will play a positive role in promoting exchanges and cooperation between South Australia and China. 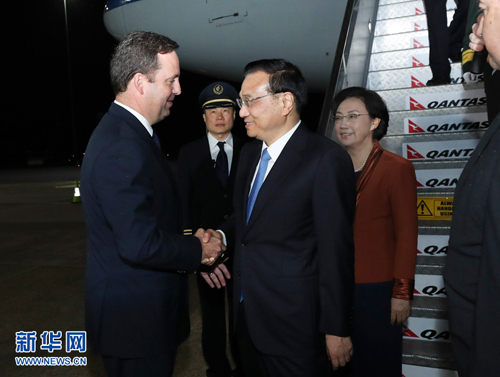 Premier Weatherill and people from across the sectors in South Australia warmly welcomed Ambassador Cheng and Madam Wang, noting that South Australia attached great importance to its relations with China. 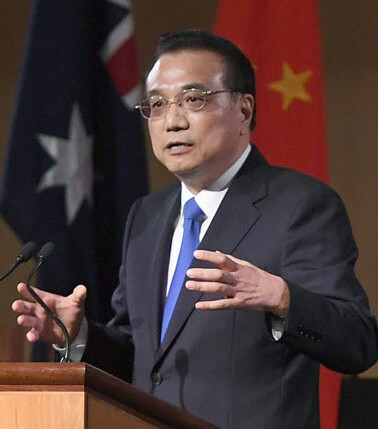 China is South Australia's major trading partner and source of overseas tourists, students and foreign investment. 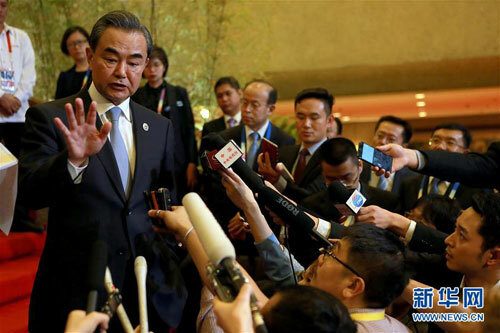 South Australia welcomes Chinese investment and wishes to strenghthen exchanges and cooperation with China and increase mutual understanding. 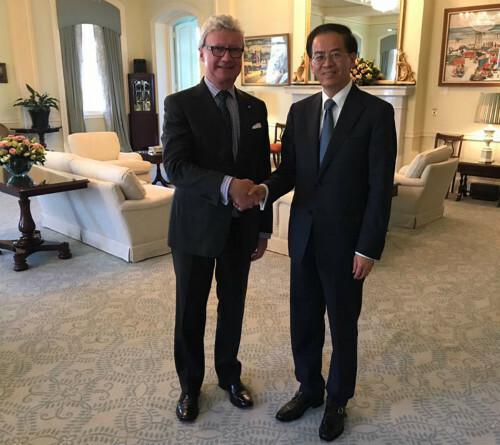 South Australia appreciates the decision by China to establish a consulate-general in Adelaide and commits itself in offering due assistance and support. On 17 October, Ambassador Cheng and Mrs. Wang also went to Perth and met with all crew members of DHJ101 that takes part in searching for the missing MH370 flight in appreciation of their efforts.